If you’re looking to purchase a new mattress that can contribute to pure relaxation while you sleep at night, you may want to look into Reverie. 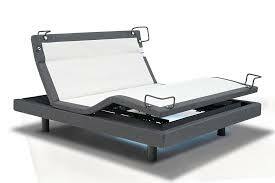 The brand’s mattresses are often suitable for people who are interested in customized offerings. People who want to enjoy personalized and one-of-a-kind sleeping experiences, as a result, frequently benefit from consistent use of Reverie mattresses. Reverie produces latex mattresses that are popular with many customers out there. These mattresses are known for their lightweight textures. They often make users feel like they’re floating around in the air. If you want to enjoy rest that’s cottony soft and smooth, a Reverie latex mattress may be the right choice. Reverie’s latex mattresses aren’t only suitable for people who are looking for lightweight comfort and ease. They’re also appropriate for people who are interested in keeping allergens at bay. If you’re someone who suffers from allergies and irritating coughing, sneezing and watery eyes, a Reverie latex mattress could be a lifesaver for you. These mattresses are produced using a natural type of latex that’s called Talalay. This latex has the ability to drive pesky allergens away. This ability, in turn, can help you sleep soundly and easily at night. Who wants to spend all night sneezing and coughing endlessly, anyway? Talalay also is a type of latex that has a nice and cool touch. People who tend to get hot and uncomfortable during the night often appreciate it immensely. Reverie latex mattresses are exactly like everything else on the planet. They have positives. They also, however, have some potential drawbacks. If you want to invest in a mattress that’s ideal for your lifestyle and needs, you need to pay attention to both the positives and the negatives. Since these latex mattresses have textures that are reminiscent of pillows, they may not be the best choice for sleepers who require a bit of firmness. If you suffer from consistent and severe back pains, you may be part of that category. There are many people in this world who need firm surfaces to sleep soundly. These people should test Reverie latex mattresses out prior to committing to them. 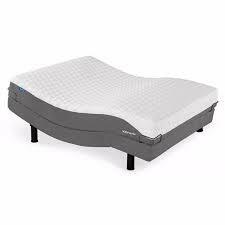 It can often be optimal to test these mattresses out for several days in a row before making any purchases. Reverie’s latex mattresses bring a lot to the table. Many people thrive on mattresses that are soft and luxurious. 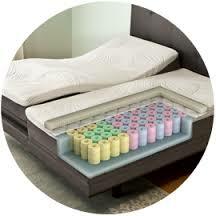 Many people thrive on mattresses that have the distinctive ability to drive unpleasant heat away as well. If you’re the kind of sleeper who appreciates customization and all of its conveniences, you should make a point to explore your options in Reverie latex mattresses. It can be impossible to predict how you’ll react to a specific mattress before you give it a real chance. Reverie is a renowned mattress brand that has a reputation for strong quality. If you want to learn about Reverie’s tiny foam springs that offer in-depth body support, you should test a mattress out without delay. If you want to learn about the brand’s adjustable power bases, you should do the same exact thing. Reverie latex mattresses can be a great option for people who are passionate about durable products that encourage optimal health. 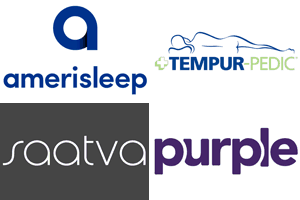 The brand has a variety of mattress certifications under its belt. It doesn’t matter if you’re a light sleeper, a heavy sleeper or somewhere in between. You need to take the mattress purchase process 100 percent seriously. The best Reverie mattress may be out there waiting for you.